Heat exchangers used for petrochemical or power generation applications may have many thousands of tubes, each up to 20 m long. 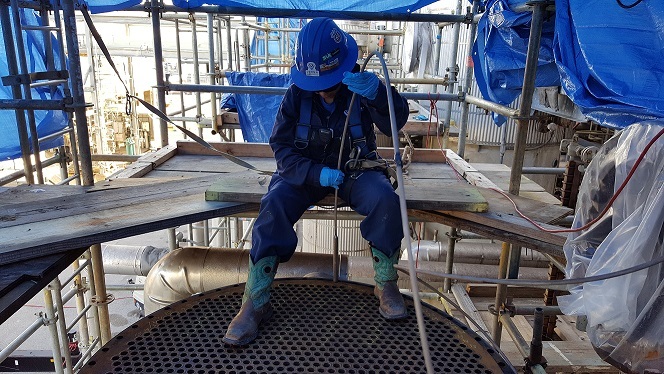 UIC Services provides a comprehensive inspection program consisting of multiple tube inspection techniques, to determine the integrity of heat exchanger tube bundles. Our extensive experience in heat exchanger inspection provides the assurance that components are properly evaluated to detect damage or defects thereby ensuring that tube bundles are safe to remain in operation. Failures can result in unplanned shutdowns, dangerous catastrophic failures or severe costly damage. A variety of state of the art inspection methods such as: Eddy Current Testing (ECT) of non-ferrous tubing and Remote Field Inspection (RFET) of ferrous tubing are supplied by UIC. A Remote Visual Inspection (RV) is typically employed for follow-up inspection of defective tubing to aid in root cause analysis. Eddy current testing is a noncontact method used to inspect nonferromagnetic tubing. Eddy Current Testing is the fastest way to assess the condition of non-ferrous tubing in chillers, condensers, feed water heaters and evaporators. With data collection speeds twice that of any other inspection method, work is performed swiftly and efficiently. Remote Field Inspection can be performed on boiler feed water tubes and other ferrous tubing where normal Eddy Current methods are limited. Remote Field Inspection is faster than previous methods; technicians can double their inspection capacity with superior results. In the past, the only viable inspection capable of being performed was a Remote Visual inspection. Currently we perform a detailed condition analysis of ferrous tubing and a definitive follow-up examination. Remote field testing (RFT) is being used to successfully inspect ferromagnetic tubing such as carbon steel or ferritic stainless steel. This technology offers good sensitivity when detecting and measuring volumetric defects resulting from erosion, corrosion, wear, and baffle cuts. IRIS Inspection is performed on ferrous and non-ferrous tube materials with accurate wall thickness measurements. 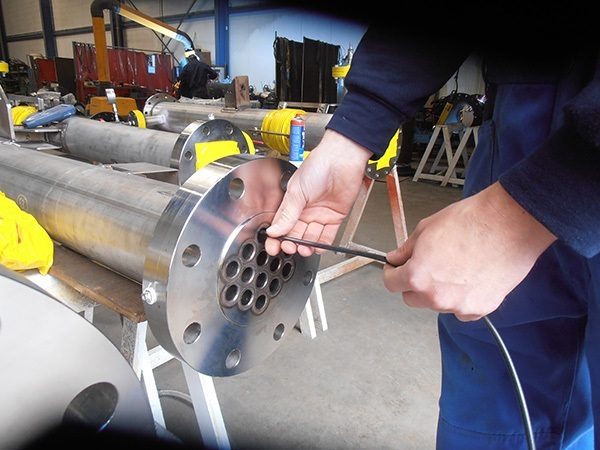 IRIS inspection can detect defects under large masses such as tube sheets and baffles. Inspection speeds are slow (100-150 tubes per shift) and are very dependent on tube cleanliness. Internal Rotating Inspection System (IRIS)is used to inspect a wide range of materials, including ferrous, nonferrous, and nonmetallic tubing. This technique detects and sizes wall loss resulting from corrosion, erosion, wear, pitting, cracking, and baffle cuts. 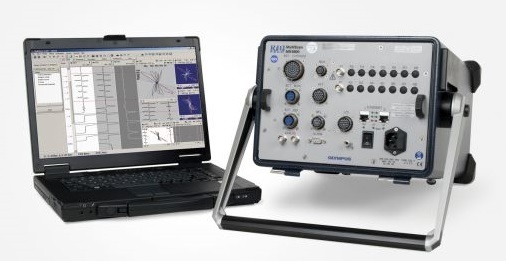 UIC IRIS inspection technology is used extensively as a prove-up technique for remote field testing, magnetic flux leakage, and eddy current inspections. Remote Field Inspection can be performed on boiler feed water tubes and other ferrous tubing where normal Eddy Current methods are limited. Remote Field Inspection is faster than previous methods; technicians can double their inspection capacity with superior results. In the past, the only viable inspection capable of being performed was a Remote Visual inspection. Currently we perform a detailed condition analysis of ferrous tubing and a definitive follow-up examination. Tube Inspection facilities at UIC, Jubail, KSA. 2. Experienced Tube inspector for carry out Inspection.